Patsy Lambert – Teaching Tips for Fabulous Fourth Graders! 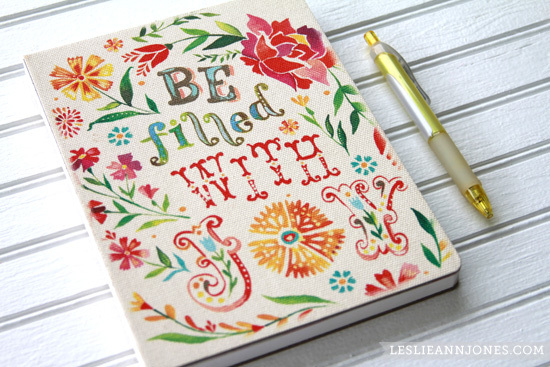 Teaching Tips for Fabulous Fourth Graders! There are a lot of choices when it comes to board games. One walk down the board game aisle of your local department store and you can quickly become overwhelmed. Trying to narrow that down even further to the specific age range of 4th graders and you can be left scratching your head wondering what to buy. Have no fear, we have taken the guess work out of it and are supplying you with the best 4th grade board games on the market. A simple Google search of ‘best board games for 4th graders” gives you multiple sites with answers to your search. Each site will provide different insight, but some games seem to appear on every site I visited. I love the feedback that came from learningliftoff.com. The games that they list are some classics as well as newer titles. They also break it down to the best educational games as well. Cranium Cadoo, What’s Gru (one of the newest games on the market), Uno, Blokus, Bananagrams, Checkers and Chess all made their list of best for this age group. Checkers, Chess and Uno are games you have all probably heard of in the past. If the kids are a little more advanced, they could try the deckbuilding game Dominion. They are classics that will never go out of style. Cranium Cadoo, Blokus and Bananagrams have all been around for a while and are steadily becoming household favorites. Another great site to find the top 4th grade board games is at atozteacherstuff.com. This is a great site for all things relating to teachers. On this site you will find an amazing forum with feedback from teachers and parents alike, ranking the best board games for this age bracket. The titles listed with this forum include; Scrabble, UpWords, Connect 4, Chess, Jenga, Mancala, Apples to Apples, Battleship, Boggle and Muggins. You can see similarities in both listings, but also some new and different board games listed in the second site. Many of the games listed, such as Checkers, Chess, Scrabble, UpWords, Connect 4, Jenga, Battleship and Boggle can all be played with as few as 2 players. These make it easy for a quick game between friends or classmates without having to worry about having a large amount of players. The remaining games all require more than 2 players, but are still great games as long as you have the amount of players needed. All of the games we have talked about can be found in most department or toy stores or could be easily ordered online at a multitude of websites. There are plenty of other board games on the market that are designed for 4th graders, but I kept it to some of the top and most widely knows games. The great thing about the toy market is that there are always new and different board games being introduced throughout the year, so the options will always be changing and growing and they will be offering new and exciting games to try all the time! Some parents and teachers are supporting the idea of homeschooling children. Students of all ages could benefit from learning concepts right at home. Where to get free 4th grade lesson plans is an important question. Educators will find that materials are made available to them over time as well. Parents can watch their children make progress in their given grade level in good time. Where to get free 4th grade lesson plans? Do some preliminary research to understand how that effort will work over time as well. There are details people observe that explain how progress can be made in school. Print companies distribute materials for schools all across the country. They might issue free books that showcase the material that they will need to use. Students can gain access to books and tests that they will need during home schooling efforts. People are renowned for their ability to make do with these materials. The print companies are glad to see students learn from the materials as well. Parents will take proactive steps to see the lesson plans put to good use as well. Get the materials sooner and benefit from a great new educational experience in good time too. Websites are another excellent resource that people want to use in good time. Where to get free 4th grade lesson plans? These websites will discuss ways to make that a reality as well. Parents have come to trust several educational websites to provide accurate lesson plans. These sites are designed by people with the right perspective on several important issues. That should resolve any problems that parents might have with their current lesson plans. Remember to stay updated on current standards in the educational system as well. Students want to make progress and come to recognize true potential in their studies. Share information with other parents whenever possible too. 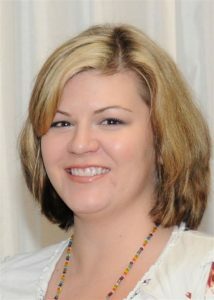 Parents can offer insight about the great new lesson plans on the market. These parents are waiting to get work done right when they can. Share information and come to recognize the details that people want to review. Go to a meeting at school or with other parents at a social group. That will raise awareness about the need for an all new lesson plan as well. Come to recognize the importance of some details people will review as well. Parents will appreciate the important new lesson plans that are introduced for students. Monitor student progress whenever possible with these lesson plans. There may be standardized tests or other materials to consider in good time. Student progress is valuable and could show that they are ready to move forward. These students are pleased with the different skills that they have learned over the years too. Students are pleased with the chance to prove their mettle after studying. Successful test scores show that these students make headway in their given grade level. That is a valuable consideration that everyone wants to review over time too. Parents can watch their kids succeed in school. Can 3D Printers Be Used in the Classroom? 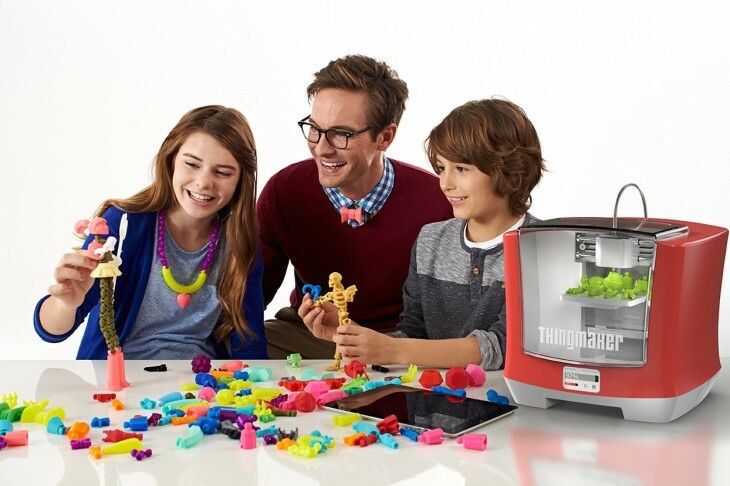 3D printers encourage play and creativity to the max! Technology in the 21st century is greatly dependent on 3D printers. Almost every sector in our society uses 3D printers to reproduce complicated quality parts and make prototypes. For an all-round student to be graduated, a 3D printer has to be part of their lives both at home and at school. This is why a modern class is incomplete without a 3D printer. Creating a design of the area under a curve is never easier than a 3D printed design. Geometry is the other section of basic mathematics that is now depending on 3D printers. These printers make a reproduction of complicated math designs easier and less messy. Students also get a first-hand experience of life application of their studies. Have you ever imagined Apollo 2 being taught to a 3rd grader using sign language? Newton’s Law of Motion and many other basic physics laws are hard to understand without practical application. 3D printers can bring out a student that can explain every bit of basic physics easily. A physics class is near impossible to teach without a 3D printer in modern science. When you print out a full detail of a human chest cavity, you can easily point out every drawing on the book to a student for better understanding. Describing flower designs is as easy as putting a model on a flash drive. Talk of maps and 18th Century Map designs, they are all made real with 3D printers, if your child is taught in a class with a 3D printer, you won’t have to spend every evening defining parts of science and Geography, they get to love school more. Most common and simple to use even for a five-year-old. The plates are not heated making it safe for kids. It has a plastic alloy that produces quite stable prints; it can connect to a device via WI-FI and Blue tooth making it very convenient for multiple users. The 3.5-inch full-color touch screen makes it very easy to operate and demonstrate to kids. Printed items can be quickly retrieved from the slide in the chamber. Fast Forge for kids costs $349 on Amazon. XYZ DA Vinci Junior 1.o wireless printer for Kids. Quite simple to operate, All you need is a download on your phone or flash drive, once you put in your device and click start, your models simply come to life in the chamber. The glass control lets you see models. It can print a lot of stuff in one hour. The printer costs just $256 on Amazon. It is good for indoor use because it doesn’t overheat. The new Matter MODt 3D Printer. This is the most affordable 3D desktop printer for a classroom or even home use. It has a transparent chamber that is adjustable to your size and self-calibrating. It has a closed glass case to prevent burning for the users. Printing is done through a cloud server so you will need an Internet connection. It prints a lot of things in no time. It costs about $220 on Amazon. Investing in this printers as a parent or a teacher is an investment in your kids’ knowledge. It is important to ensure that the safety of the learners is assured before buying the printer. Whatever printer you choose, your learners will enjoy the ease of understanding brought by them to the class. There is no doubt that teaching is among the most stressful professions in the world. However, when the stress becomes so severe to interfere with your emotional and physical wellbeing, there is a need for intervention. Severe stress can potentially disrupt the good relationship between teachers and their students. 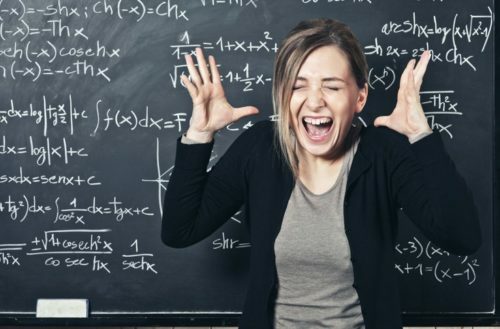 In fact, a study reveals that stressed teachers are not only less effective in classroom management and teaching, they are also less connected to their students. Besides, teachers take on multiple roles for the elementary classroom students, which include parental roles and being their role model. This goes to show that a stressed teacher can adversely affect the psychological well-being of the pupils. It is, therefore, imperative to manage stress lest you end up taking it all out on the kids. Here are some helpful hacks for dealing with stress in an elementary school classroom. There is nothing wrong with wanting to control how your day goes; spending some time planning to see that your classes run smoothly is important. However, you shouldn’t try to control everything. For instance, you may want to focus on helping the pupils go through the assigned material within the speculated time frame. This is as opposed to allowing the disruptive or inattentive behavior of a particular student to frustrate you and thus prevent you from accomplishing your goals. Learn to look at things objectively; for example, rather than assuming that students are intentionally interfering with your lesson, try and accept that kids are naturally irritating. The best way to deal with stress is to analyze the situation fearlessly and subsequently accept the outcome. This should be closely followed by devoting effort and time on improving upon the worst situation, having already accepted it mentally. Seeking joy is akin to searching for a certain color. If, for instance, you’re looking for the color pink, you will start to see it everywhere you look. Likewise, start observing and recording things that bring you pleasure in your quest to become happier. You may, for example, selectively think about all the fun you had playing with your kids or the unexpected phone call you received from a long-lost friend. Focusing on your moments of joy rather than feeling blue all the time will help to keep stress at bay. Towards this end, consider setting the alarm to remind you about going to bed. Sleep deprivation makes it hard to think; it might even harm your health in addition to worsening your mood. In essence, always aim at getting seven to eight hours of sleep per night on the bare minimum. Without appropriate training, most teachers dismiss the early signs of frustration and the onset of stress, until they ultimately burnout and overreact. Early recognition of emotions like anger and frustration might afford you the much-needed opportunity to diffuse them. Successful management of the stress, distractions, and conflicting priorities is highly dependent on your ability to adopt rock-solid habits of life. This will ultimately make you a self-assured captain of the classroom; someone who can comfortably weather the storm.